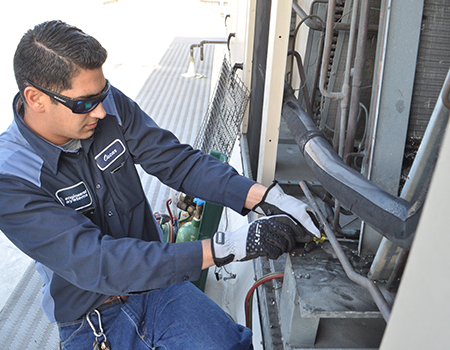 Whether it is an equipment failure requiring an emergency repair or an issue discovered during regular maintenance, be assured that ACCO will complete repairs quickly and expertly at a fair price. ACCO understands that whether you manage a critical Data Center or an office building, your production is severely impacted when the environment is not maintained. With our web based field quoting system, our highly qualified techs can diagnose an issue, quote in the field, and send price proposals to customers within minutes for approvals. With approvals from the customer, the tech can repair the problem on the spot and get the systems back up and running with minimum impact on operations.